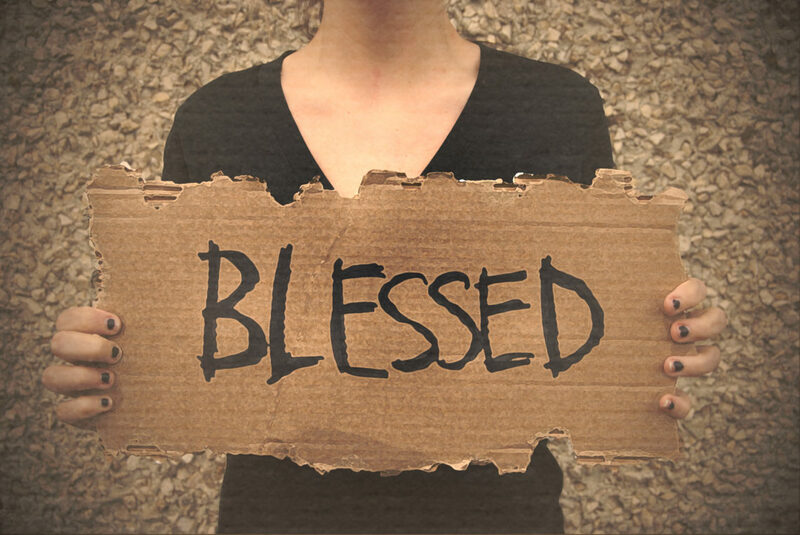 Today we are continuing our sermon series called “Blessed: Finding the Good Life.” Over the past few weeks we’ve explored the varied ways the Kingdom of God opens up to those who are poor in spirit, to those who mourn, and to those who are meek. Today we look at the topic of righteousness. Would you read with me? I’ve always appreciated the simplicity of that story. It might sound like a story that takes a complex issue – good and evil- and reduces it to something a bit too simplistic, like the choices we make. But in essence, that’s how Jesus teaches us to do faith. In our Christian language, we don’t talk about two wolves living inside of us, but we do talk about two natures- the flesh nature (who we are without Jesus). Those are the things we do and the behaviors we exhibit when the influence of Jesus is ignored and suppressed. And we also talk about the spiritual nature (who we are because of Jesus). 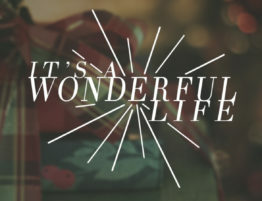 This is the life that yields to the will of Jesus and seeks to have God’s way permeate everything. Those are the two competing hungers we face in our depths every day. And whichever hunger we feed has something to do with the way we experience God’s blessing. For the first time in Matthew 5, we finally reach a beatitude that makes sense. Blessed are those who hunger and thirst for righteousness, says Jesus, for they will be filled. The first three beatitudes- Poor in spirit, mourning and meekness -don’t sound like terms of endearment, let alone words that lead to blessing, but this one does. Hungering and thirsting for righteousness sounds like something you’d hear in church, doesn’t it? It just has a “churchy” feel to it. But of course this, is Jesus teaching us, so we need to dig a little deeper beneath the surface and ask exactly, What does it mean to be righteous? Because all along we get the sense that Jesus is viewing the world through a lens that is different that what we’re used to. And that might actually be a good thing. Righteousness doesn’t have a great reputation in our culture. Sometimes we hear that word and we bristle. It’s hard to pull righteousness apart from self-righteousness because all too often that’s what we’ve done with this word: we’ve made it something repulsive. I heard an interview this week with a mom who said that her grown adult children had walked away from the faith because of Christians who confused righteousness with God’s approval to be judgmental and hypocritical. And I get that. It saddens me, but I get it. If that’s all righteousness is (tearing others down so that I feel better about myself), then I don’t want anything to do with it! But Jesus is in the business of redeeming what we get wrong and misunderstand. Somehow Jesus can take the topic of mourning and call it blessing. Somehow Jesus can spin the word “meekness” and make it strong. So we get the sneaky suspicion that when Jesus talks about righteousness, he wants to clear up something up. Maybe a helpful way to get to the heart of righteousness is to look at a group of people who really got in Jesus’ craw- the Pharisees. The Pharisees were the religious superpowers of the day. If anyone was righteous in those days, it was the Pharisees. They spent their waking moments pouring over the Scriptures- they knew them better than anyone else. If they entered a Bible trivia game, they would wipe the floor with us. But Jesus had something interesting to say to his disciples about the Pharisees: unless your righteousness exceeds that of the super religious of the day, you’ll never taste the goodness of God’s kingdom. (Matt. 5: 20) Wow. Can you imagine Jesus saying, “Unless your righteousness is greater than the tv preacher you watch, or the person who never misses Bible study, or your favorite Christian author, then you’ll never see the Kingdom? That’s pretty bold, isn’t it? Maybe even a bit concerning. So what point was Jesus trying to make? Well, the Pharisees weren’t necessarily bad people. I want you to hear that. In fact, they got a lot of things right. They remind me a lot of old-time church people who used to say, “I don’t smoke, drink or chew or run with those who do.” Certainly, it’s better to not do those things than to do them, but those things don’t equate to righteousness. Likewise, the Pharisees were people who studied the word. They knew it inside and out. That’s a good thing. And they strived to live out every letter of the law. That’s a good thing. They prayed and taught others to pray. Those are good things. But what they got wrong was huge: the law became their god, their hunger, instead of the One the law points to. For instance, one day they attacked Jesus for healing a man on the Sabbath. Now remember, keeping the Sabbath is a commandment. We’re not supposed to break it. So they attacked Jesus for healing a man because it wasn’t the right day! That’s absurd! Their commitment to upholding the rules was more important than following the Savior who was healing the wounded in their midst. And in doing so, they missed out on what God was doing before their very eyes! Having the knowledge is an honorable characteristic, and it’s part of what it means to be righteous. Remember, Jesus didn’t say the Pharisees had no righteousness, only that the Kingdom of God is experienced when we surpass their righteousness. And here’s how I interpret that: Righteousness is about seeing the world the way God sees it and wanting for the world what God wants. That’s what righteousness is about. Righteousness flows out of God’s love for the world, and righteousness seeks to have all things be just the way they were meant to be. But that type of living doesn’t just happen. We don’t just wake up and experience righteousness. We must strive for it. We must hunger for it. We must pursue it. Righteousness is what you and I were created for, but we lost this pursuit in the Garden. Righteousness was never something we had to strive for, something we had to hunger for; it was the ONLY way we knew. And it was good. In the Garden, all was right. All was righteous. Relationships were exactly as they were meant to be. Adam and Eve were the perfect complements to one another, seeking the best for each other, making certain the other had what the other needed to live fully. And our relationship with God was perfect, fully satisfying, with nothing in between. All was right in the world, the way it was meant to be. All things were in right relation to one another. But once sin entered the picture, righteousness became one option among many. And it has plenty of competition in our hearts. When we pursue righteousness, we seek to live above that competition. When we hunger for righteousness, what we are saying is that we yearn for God’s way to prevail in all things, so that all things may be made right in our world. But here’s the challenge with that. The privilege of defining what is right and wrong is not ours; it is forever God’s ordained privilege. And in some cases, we’re ok with that. How many of you believe it is right that the hungry are fed and the homeless find shelter? We have strong biblical evidence that God desires the best for those folks. But how about this? How many of you believe it’s right to forgive instead of seek retribution? Ouch. And so because of this, sometimes we don’t want it. 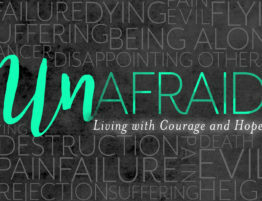 Sometimes we suffer form what Robert Louis Stevenson once called “the malady of not wanting.” Here are some reasons we sometimes tell God, “Thanks, but no thanks” to a righteous pursuit. Fear. We fear that God won’t provide or give us what we need. Wounds. We don’t like to be wounded or taken advantage of. Self-fulfillment. We tend to value our own fulfillment over others. A certain understanding of justice. We often want to see people get what we think they deserve instead of the grace none of us deserve. Control. If we do things God’s way, that means we’re not doing things OUR way. And let’s call it like it is: We often avoid righteousness because it’s hard. It’s easier to ignore the wrongs of the world than to set out and do something about them. But deep within our soul, we know that Jesus is right about righteousness. One of the most important stories of the Bible is our story for next week, the Good Samaritan. When we read this story, we know that there is something infinitely more satisfying to the person who offers mercy as opposed to those who do not. And I have a feeling that when we read this story, we read it with the hope that we are like the Good Samaritan, the one who in essence says, “This is not the best thing for me right now, but it is the best thing for you. And so I’ll stop what I’m doing to help you get what you need. That is righteousness.